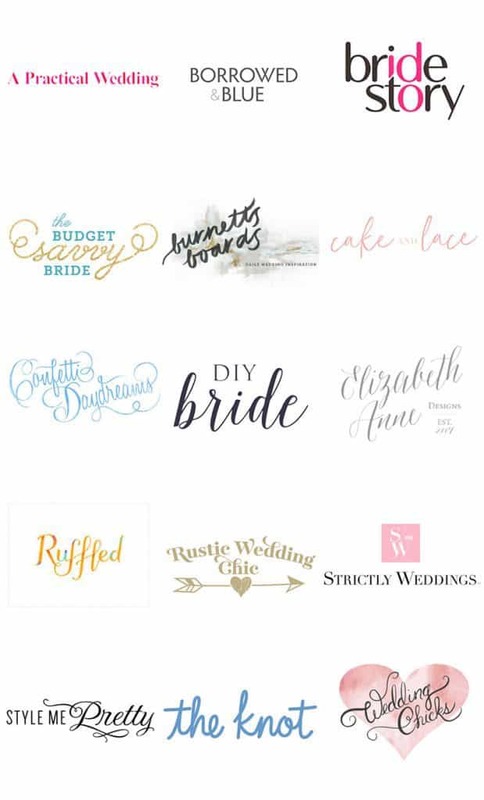 You might be sitting down with your wedding budget scribbled on a piece of paper scratching your head thinking, “How the heck am I going to pull this off?” Yes, when you are on a budget, you start to prioritize what is most important to you on your wedding day, and you are probably trying to figure out how to maximize on DIY flowers. You think you will have to compromise on everything you originally wanted. Well, we never really understood the phrase, you can’t have your cake and eat it too, I mean what else are you supposed to do with the damn cake?! So, in order to get the cake so you can eat it too, you have to do a little bit of smart DIY flower planning. So no, you don’t have to spend $5,000 on your wedding flowers to get what you want. You can plan smart, put the flowers together yourself, and still have MOST of what you dreamed of. We are going to give you 5 tips that you might not have ever thought about. It’s okay that you want the high ticket items. Yes, you can have peonies, ranunculus, anemones, dahlias, succulents and specialty flowers. The key is a balance. 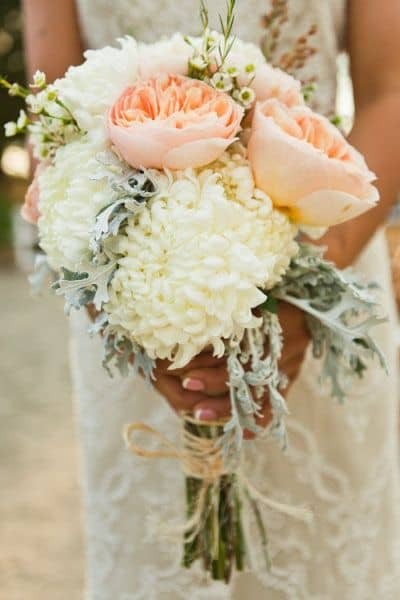 Instead of having an all peony bouquet, use 3 stems of peonies in your bouquet (They are huge – they will still be the focal point) and supplement the look will something beautiful, stated, yet more budget-friendly like spray roses, some fillers, and greens. The leftover stems will go toward other arrangements you want to make with your DIY flowers. This way you make the higher priced flowers go a long way and get the most out of your wedding budget. Also, limit yourself to 2-3 varieties of the most expensive stuff, add a bunch or two of each of those items to your order, use them in the most special arrangements like the bridal bouquet and bridal table. Pairing the specialty flowers with other flowers will still give you an expensive look without the big price tag. 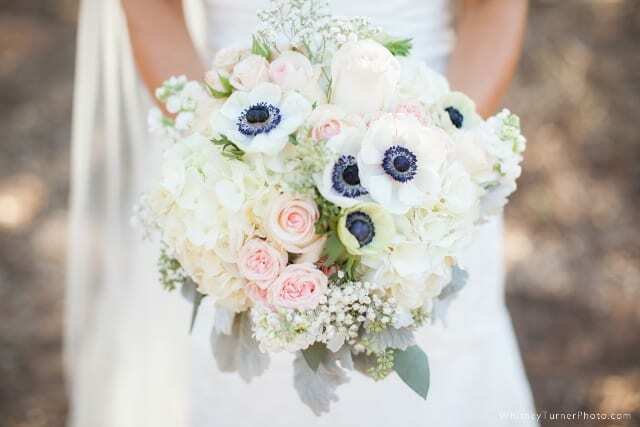 The above bouquet looks large because there are 3 stems of hydrangea and anemones paired with affordable spray roses, roses, stock, baby’s breath, and greens. To recreate this look on a budget incorporate 2 large hydrangeas, 5-6 anemones, 4-5 spray rose stems – 3-5 rose stems, a few stems of baby’s breath, and greens! This bouquet with a florist would cost around $150-200 but if you DIY could be as low as $35.00. Yup, there are little-hidden gems that you did not know where so affordable yet painfully pretty. We are letting you in on the secret! Spray Roses: They have evolved into a serious statement flower since the popularity of the romantic vintage style. The reason why they are so cost-effective is that each stem has 3-5 blooms. Each bunch is 10 stems, so each bunch gets you anywhere from 30-50 small rose blooms for around $18-25$ (depending on current supply and demand). 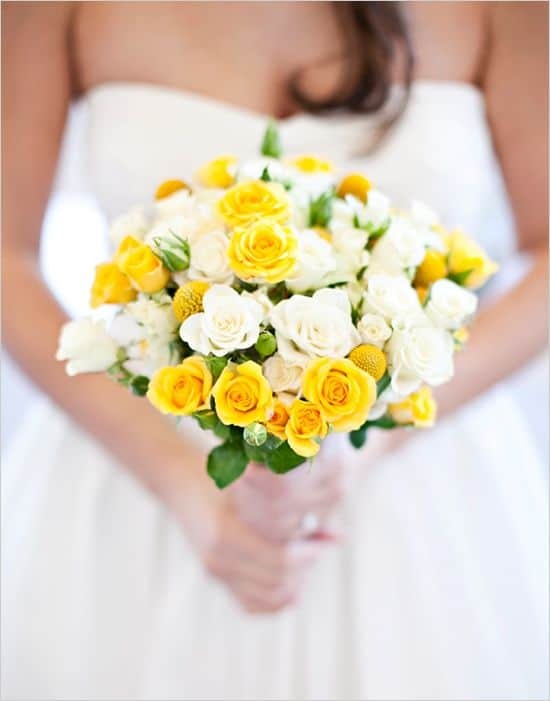 Yup all those yellow and white pretties below are spray roses (mixed with billy balls)! This bouquet was pretty enough to get published on Wedding Chicks, photographed by Brooke Beasley Photography. Dendrobium Orchids: Another hidden gem! Dendrobium orchids come in a 10 stem bunch; each stem has 8-10 blooms, yes, you get 80-100 little orchid blooms in each bunch! That means you can get 80-100 small orchid blooms for around $30-$35! The only downfall is that you need to remove each bloom from the vertical orchid stems and wire it. It requires a little more work but is worth the elegant look at the affordable price! They are perfect for boutonnieres, corsages, bouquets, and centerpieces. For centerpieces, we suggest using the whole orchid stem. 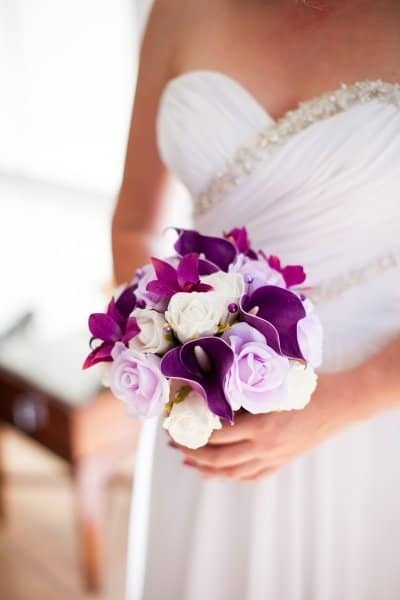 As you can see below, the mini orchid blooms placed among beautiful mini calla lilies and roses create a statement look. Football Mums: Just completely ignore the word football, because these big fluffy beauties are the least bit masculine/sporty. They are perfect when paired with pretty much any flower. The reason why we think they are a hidden gem is that they will help you build large bouquets with a lot less $$. You can purchase 10 large football mums for $18-25! This budget-friendly bouquet featured on Style Me Pretty is a prime example of pairing more pricey focal flowers with affordable football mums, wax flower, and greens. This bride got to have the ever-so-popular garden roses when she matched them with more affordable blooms. Photo by Shannen Norman. Wildflowers: Ordering wildflowers can save you a ton of money. Because wildflowers are mainly a mix of fillers, greens, and accent flowers they are more affordable. Wildflowers are extremely beautiful and can work in any setting; you do not have to have wedding in a barn to make it work. They are whimsical enough for formal settings as well. Want to replicate this wildflower look below from Pinterest? 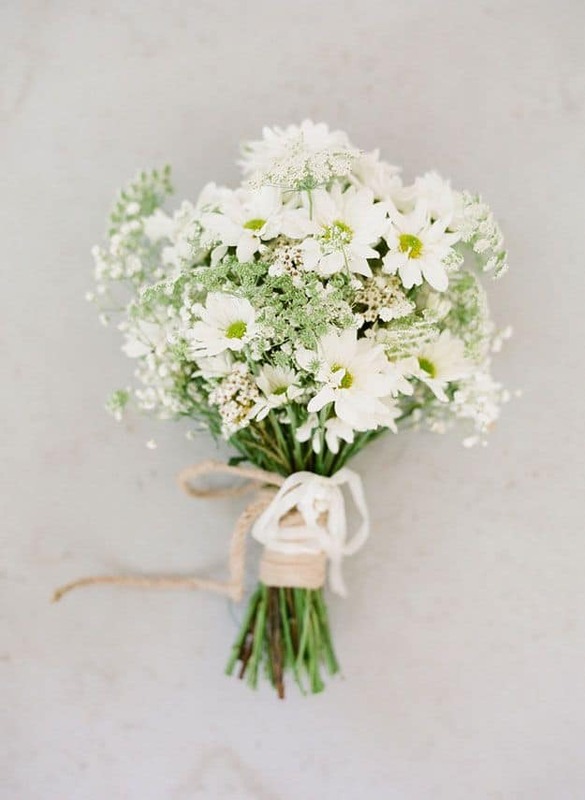 Order the Blooms Vintage White Wedding Wildflower Pack! Using colors that pair well together to make the impact. Sometimes color pairings are more essential rather than the flower varieties. If that’s the case, you have complete budget freedom. If you have been perusing the internet looking at expensive designer wedding flowers that don’t fit your wedding budget, contact the BloomsByTheBox customer support team. We are experts in DIY flowers. We can help you replicate expensive designers bouquets within the budget you need by sticking with the colors and supplementing the more expensive varieties with some more affordable ones. 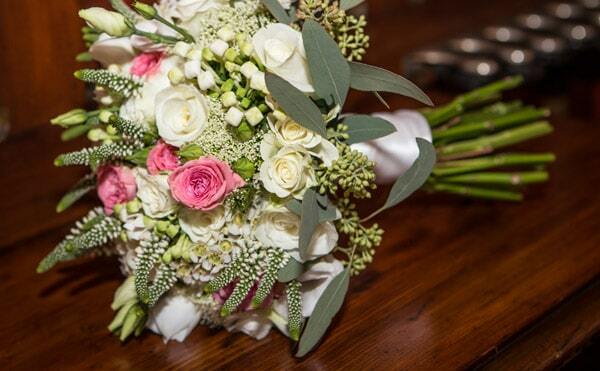 Use your bouquet as the focal flower arrangement in your wedding party. You can save a lot of money in your budget by simply scaling down the bridal party’s bouquet size, especially brides with three or more bridesmaids. Scaling down the size of these secondary arrangements will allow you to purchase some of the more expensive flowers on your list. 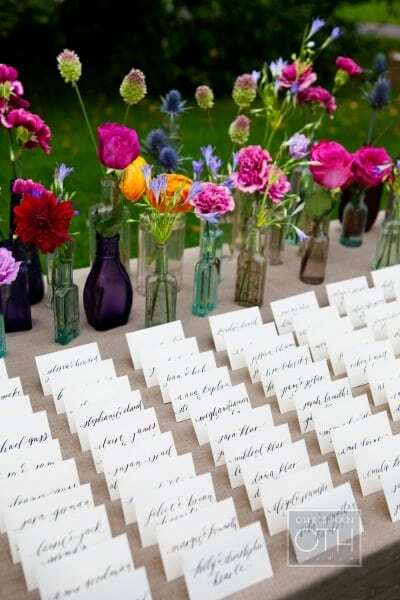 Maximize on DIY wedding flowers by using lots of smaller vases rather than a couple of big ones. Get miscellaneous bud vases, vintage milk glass, wine bottles, old coke bottles, or all matching bud vases. This will help you spread out the flowers and colors! The key is using 1 stem of greenery and 1-3 focal flowers per bud vase. Then spread them out for optimal impact. This trick is also extremely cost efficient because greenery is very affordable; you can get a few bunches of focal flowers, a couple of bunches of fillers, and do all over 20 centerpieces for under $350. This photo by Christian Oth Studio nails tip 3 and 5 at the same time. Spread out the color and make an impact, for more inspiration like this visit Style Me Pretty! Have any questions? Have some suggestions for other budget-savvy ideas? We love to hear your feedback. I love the beautiful flower arrangements. What do you suggest for guest tables, an area that displays of pictures, wedding dress,etc.., plus an anniversary cake table for a 50th wedding celebration? For smaller tables we would suggest groups of bad vases, 1 or 3 bud vases with one large bloom and part of a filler in each will really make a statement and be a great addition to any table. For cake tables you can also just scatter the table with blooms, cut off the heads from the stems and put them around the cake stand. This advice and the tips have inspired me. I will be ordering real soon for my June wedding! Great! We are so glad to hear that! Would these flowers work together, as far as texture and color? Hi Carol! I love the combination of flowers that you’ve selected! The textures of each flower will look stunning together. My only suggestion is to perhaps add in some greenery such as leather leaf fern or ruscus. It will not only add more texture but height, depth and color to your arrangements. I hope that this helps! What are your opinions on having strictly baby’s breath and greenery filler for the table decorations? (This will be an outdoor backyard wedding). I am trying to cut costs on the floral budget dramatically and am totally capable of doing this myself. Hi Katrina! We absolutely love the strictly baby’s breath and greenery look for table decorations. It is simple yet elegant! Do you know what greenery you’d like to pair the baby’s breath with? Perhaps silver dollar eucalyptus or Italian ruscus perhaps? I hope this helps!! The Best Vase Options for Do-It-Yourself Wedding Flowers!